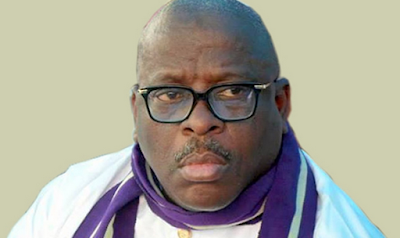 The Senator representing Ogun East at the National Assembly, Buruji Kashamu, has blamed the defeat of the Peoples Democratic Party in the July 14 governorship election in Ekiti State on the arrogance of incumbent Governor Ayodele Fayose. He said the defeat was inevitable seeing how a former interim Caretaker Chairman of the PDP, Ahmed Makarfi, encouraged Fayose to drive away other party stakeholders in the South-West. Kashamu said this in a chat with journalists at the weekend. He said, “The good people of Ekiti State wanted to do away with anything Fayose and that was what happened; that was why he lost even in his own local government. “It is not that the people do not like the PDP. They still like the PDP but they detest Fayose and his antics. “He is cancerous to the PDP and since the leadership of the party could not deal with him, the good people of Ekiti State simply helped us to remove him. Kashamu called on the PDP leadership to move in and rescue the party in the South-West so as to shore up its fortune before the 2019 general election. He said, “The earlier the leaders of the PDP restructured the lopsided structure in place in the South-West, the better it would be. “The people have invested their trust in him (Fayemi) and he should not let them down. Politics and governance should be about the people and not parties,” Kashamu said.